Back in the 1930s the entertainment on offer was limited; there were cinemas of course but we had to pay to visit those; the wireless was free, once you’d bought it and were prepared to pay the annual licence fee of £1. The BBC was set up in 1922 so it was a fairly new experience. As a result there was quite a lot of local amateur entertainment put on by churches, Sunday Schools, Brotherhoods, and youth organisations etc. I remember that at Park Terrace Methodist Church there was the annual Sunday School Anniversary with three services on the day during which the scholars sang and recited. 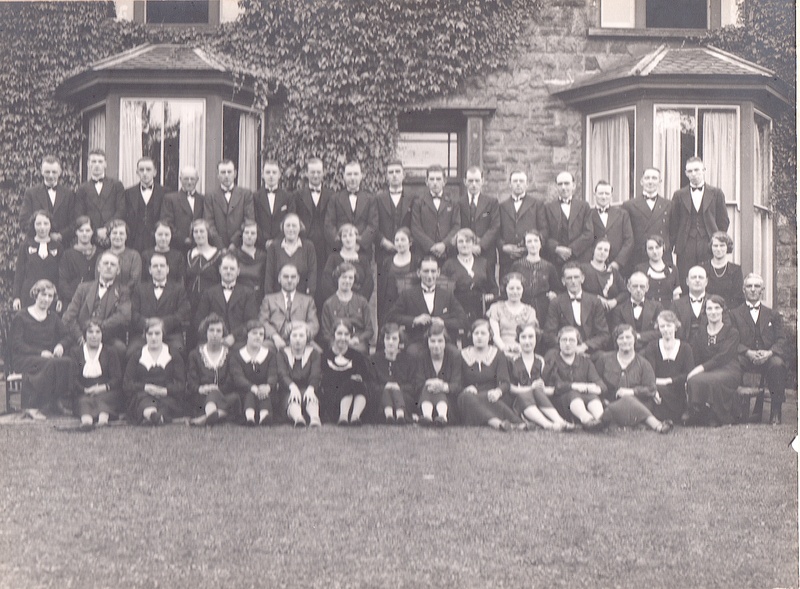 There were generally a few “socials” during the year, such as the Harvest Social which took place on the Monday after the harvest services. There was a small charge to attend in order to raise church funds. Some of the major events were put on by the two Pontypool Choirs: the Pontypool Choral Society and the Pontypool Male Voice Choir each having well over 50 members. 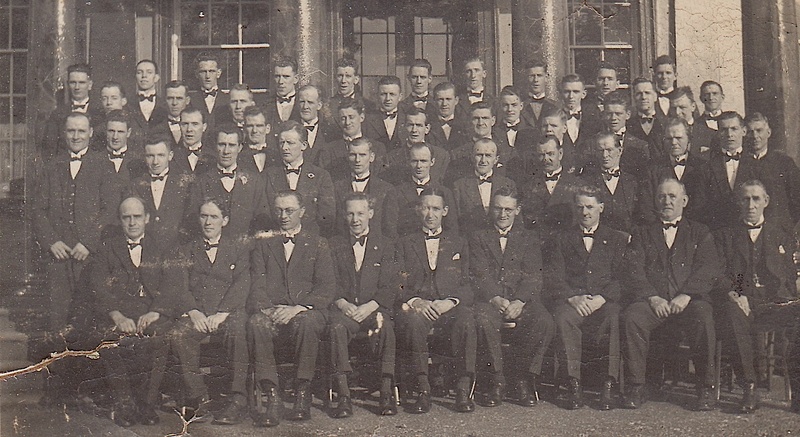 Recently, while sorting out my collection of thousands of photographs I came across two photos of these organisations which I include in this post. If you can identify anyone please either make a comment or email me. Both my parents belonged to this choir. My father is in the seated row third from left and my mother is immediately in front of him. The only member I recall them talking about was George Ashman. One of his relatives might identify him if he is in the photo. My father was also in this choir and is seated in the front row third from right. If any visitor knows anything about either photo I’d be pleased to hear about it.